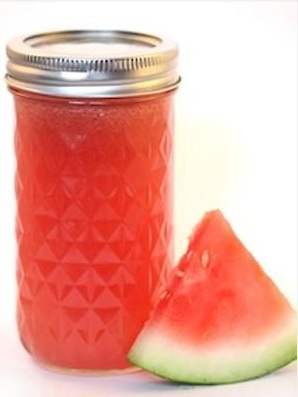 Hello Friends Today I am sharing a drink that has been a favorite of mine for awhile WATERMELON JUICE! While we were in Cabo San Lucas last year (when I was pregnant), each morning at breakfast they had the most amazing, freshly squeezed watermelon juice. Since I was pregnant and not sleeping off the drinks from the previous evening and up at the crack of dawn, I started doing a little research to see what the benefits were of this tasty beverage. I completely forgot I had this post saved as a draft from then and when I bought more watermelons the other day I remembered I had to share! benefits of drinking watermelon juice: 1. lycopene: this antioxidant is from the beautiful red color of the fruit and is essential in helping to protect your cardiovascular system from free radicals. Lycopene also helps protect your skin from aging, so make sure to indulge especially during these summer months if you are headed outdoors. Lastly, they're finding that with a higher lycopene intake, there is a greater bodily protection against fighting cancers within the colon, stomach, prostate, pancreatic and lung. 2. better blood flow: thanks to citrulline which is an amino acid that is converted into arginine in your body. This is essential for helping to improve blood flow. Two other benefits to better blood flow are helping you feel more relaxed and relieving sore muscles. There is even said to have a "viagra" type effect on people that are deficient in this in their body. 3. weight loss: sold! lol. seriously, again citrulline helps to interfere with fat accumulation in fat cells and drinking a glass before a meal will hydrate you, has a low number of calories and is packed with nutrition which are all great for weight loss. 4. reducing inflammation: because this red gem is packed with flavonoids, lycopene and beta carotene, drinking watermelon juice before a heavy workout can help aid in an anti-inflammatory effect. The more you allow your melon to ripen, the better the results are. 5. vitamins & minerals: watermelon has a good amount of vitamin C, vitamin A from the beta carotene and some B vitamins too. There are sufficient amounts of potassium and magnesium if you juice the melon and the seeds have a good source of iron and zinc. 6. healthy kidneys: watermelon juice has a super healthy effect for kidney cleansing. Again, add the seeds so you reap even more benefits for the body.